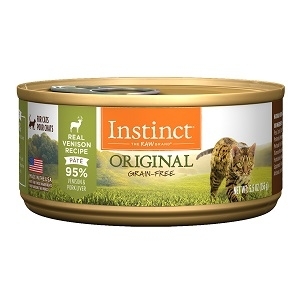 Nature's Variety Instinct Can Cat Venison Formula 24/3 oz. Nature's Variety Instinct Can Cat Rabbit Formula 24/3 oz. 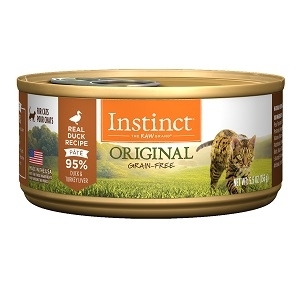 Nature's Variety Instinct Can Cat Duck Formula 24/3 oz. Instinct Canned Venison Cat Foods fulfill your cats’ instinctive nutritional needs with 100% grain-free and gluten-free nutrition, resulting in vibrant health you can see. 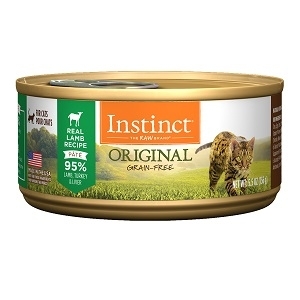 Nature's Variety Instinct Can Cat Lamb Formula 24/3 oz. Nature's Variety Instinct Can Cat Beef Formula 24/3 oz. Nature's Variety Instinct Can Cat Chicken Formula 24/3 oz. Nature's Variety Instinct Kibble Rabbit Cat 12.1 lb. 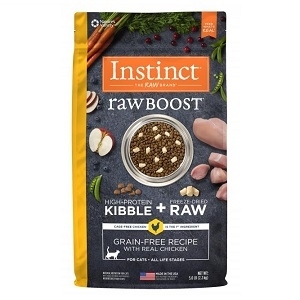 Instinct Raw Boost is the first ever grain-free kibble with freeze dried raw in the same bag. It's never been more convenient to nourish your cat with the nutrition of raw. The grain-free kibble provides high protein nutrition along with freeze dried raw pieces to give your cat a bite-sized boost of healthy raw food.